This slick setup is a great way to quickly deploy clear, large signage around your work zone. 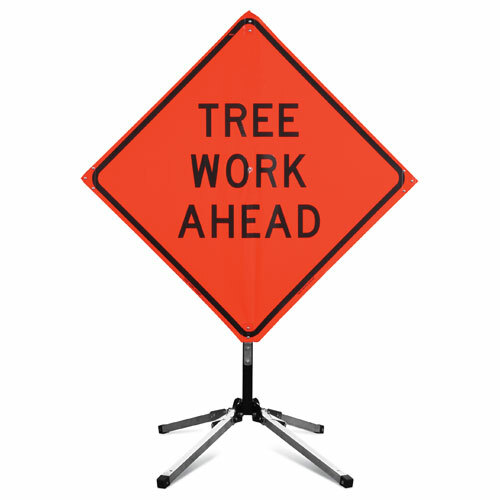 It comes with a 36" roll-up sign that reads "Tree Work Ahead". Also included is a stand that folds up and stores neatly, and makes the sign very stable, even in windy conditions and near roadways. The stand itself weighs about 15.5 lbs.